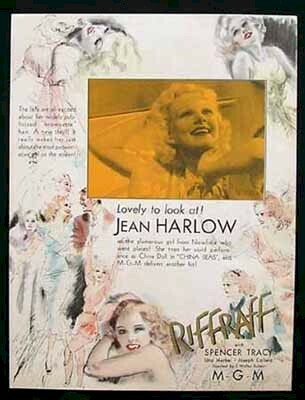 1935 - Original Advance US Trade ad 11" x 14", very fine condition to promote Jean Harlow in RiffRaff with Spencer Tracy "as the glamorous girl from nowhere who went places! 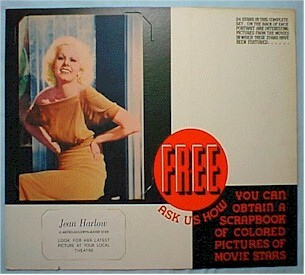 She tops her vivid performance as China Doll in "CHINA SEAS" and MGM delivers another hit". 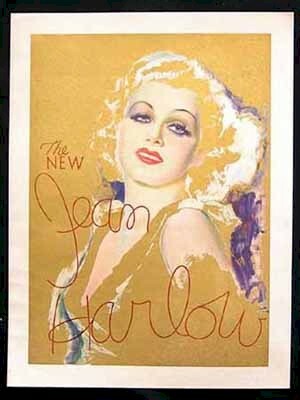 Wonderful image of Harlow on the front with a striking gold background and superb graphic art on the back. 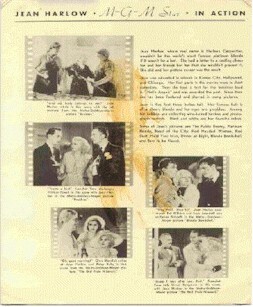 This item came from an MGM distributers pack that was circulated to theatre owners in the 30s. They are very rare and consequently highly sought after.